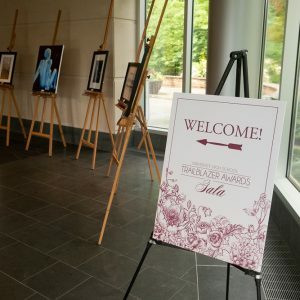 On August 25 at Newfields, the University High School community gathered to celebrate the school’s core values and honor community leaders for the biennial Trailblazer Awards Gala. While the event only lasted four hours, it took almost two years to plan. 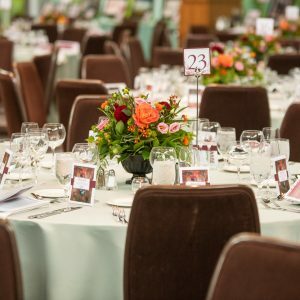 The Gala committee, headed by Susan Berry, worked tirelessly to make sure the event was unique, beautiful, and memorable. 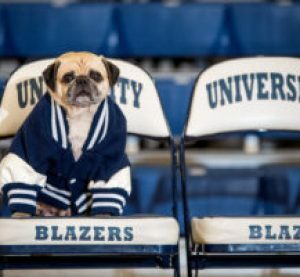 This year’s Gala came with an extra challenge, as the committee had to look ahead to the next Gala in 2020. 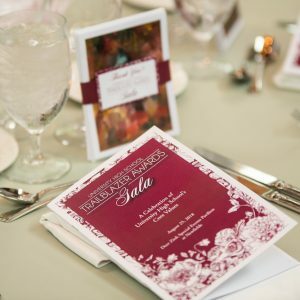 “In everything we did for this Gala in particular, we also had an eye on 2020, in which the Gala will be the school’s 20th-anniversary celebration. So we made decisions at this event keeping in mind how we’ll want to go even bigger for 2020,” said Crockett-Lohr. 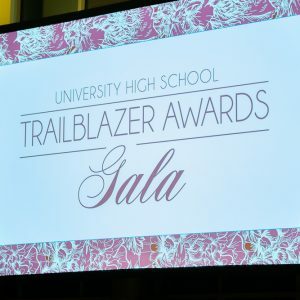 The main event of the Trailblazer Awards Gala is when six prominent community members are honored for their dedication to University’s core values. The nomination process begins two years before the Gala as well, as committee and Board members nominate people for the award. 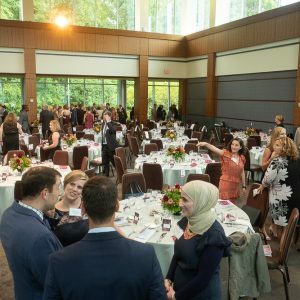 This year, the Trailblazer Awards were given to Nancy S. Chance for Commitment to Stewardship, Sherry D. Davis for Commitment to Personal Responsibility, Susan Kitterman for Commitment to Creativity, Kyle E. Lanham for Commitment to Excellence, John D. Noltner for Commitment to Mutual Respect, Support & Trust, and Cole Varga for Commitment to Diversity. These awards were presented to their recipients by junior Ella Eskenazi, junior Jacob Sager, sophomore Keegan Priest, senior Eric Major, junior Mary Rozembajgier, and alumna Sara Hindi, respectively. Nancy Webster came up with the idea for students to present the awards while she was teaching at the Roeper School in Michigan. 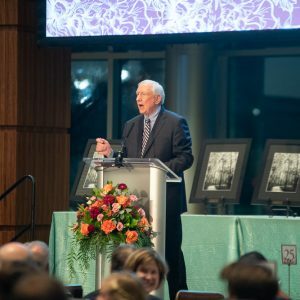 “I was at the Roeper School with Chuck for almost 20 years and they started a Gala when we were there….They had the idea that maybe a kid would do a speech or something and I said at a meeting, ‘Why don’t we have the kids do speeches for each of the…awards?’” said Webster. When starting the Gala at University, Webster explained a similar skepticism to the student speeches. Yet, just like at Roeper, after everyone heard the students’ speeches, “everybody left the Gala talking about those kids,” said Webster. This year, students put in a lot of prep work for their speeches, beginning the process last year. Mary Rozembajgier explained how these group meetings were helpful not only for practice, but for confidence as well. “We met a couple of times and read our speeches to each other which helped build up our confidence…. We really just bonded as a group, heard each other’s speeches, and encouraged each other,” said Rozembajgier. This idea of people coming together is Ashley Crockett-Lohr’s favorite part of the Gala as a whole.